An Unexpected Power Outage Means HEART ATTACK! Home / An Unexpected Power Outage Means HEART ATTACK! 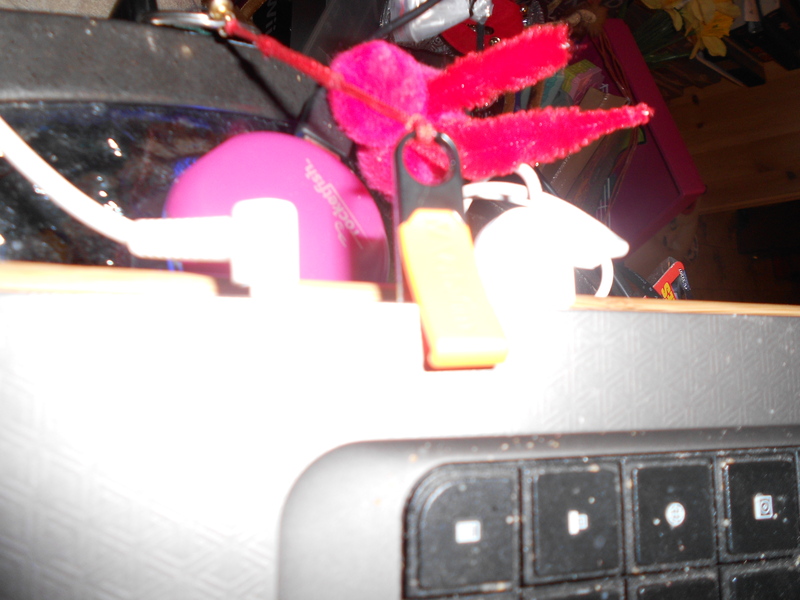 That red thing in the background is a plot bunny that the cat tried to eat. You can tell by the lack of eyes and the mismatched ears. Once you install it to your usb drive, you can run it on any computer that has a usb port. I often take it to work, especially on Fridays, when we rearrange our schedules in order to have a longer lunch. And I wrote a bit today. Not much, only about 169 words while I ate my sandwich. But it finished a section of the next chapter of Knight that’s supposed to be workshopped. Which leaves me with connecting the beginning of the next scene to the end of that scene, about 200 words, probably. We usually do twice a month submissions, but if we clear the Q, we’ll have an extra one early. And we cleared this one in a week! I’ll probably upload on Sunday, if I don’t decide to wait until the next one, so I have time to edit a bit–this has been a really piecemeal chapter and I’m betting it reads pretty rough. Anyway, there I was, happy as a lark, beavering away at my desk, when the power goes out. And the usb drive is still in the computer. And I had the program open at the time. Aaaaargh! Panic! Despair! Cat-astrophe! Then, horror of horrors, the power came back on just long enough for the computer to try to restart (I know, they shouldn’t do that, but this one will–don’t know why and computer services just shows me some hand-wavium when I ask). It restarts, gets halfway through a boot and the power goes out again! This time I was smart, and I grabbed my poor abused usb drive and put it away. Thankfully, everything seems to be there, although the computer keeps wanting to fix my file system. I may have to back it up again and reinstall. Bummer. But all my words are there. I am a very relieved Kitty. Oh, and my pretties arrived today! 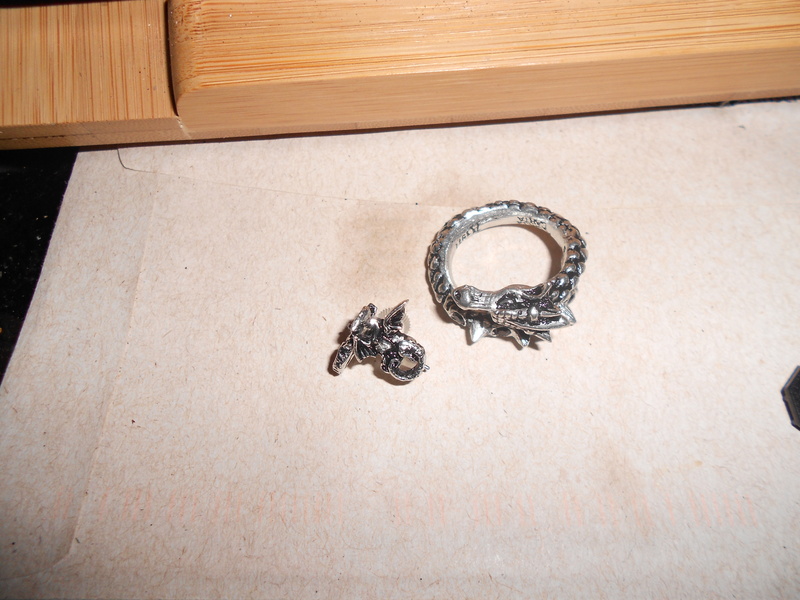 Here they are, sitting on my computer table, because I can’t type with rings on. Have a fantastic weekend and find yourself some pretties!